KPR School of Business is the first fully residential B School in the Kongu Region – the entrepreneurial belt of Tamilnadu – under affiliation with Anna University. 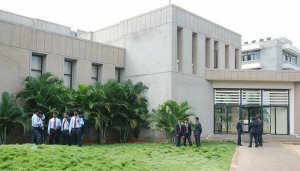 Located in the Manchester of South India, KPR School of Business is backed by the KPR Group of Industries, which believes in Quality as the prime mover of sustenance and growth. Blessed with the most enviable infrastructure, KPR School of Business has been very active in the field of Faculty and Executive Development Programmers. Click here to know more about us in detail.